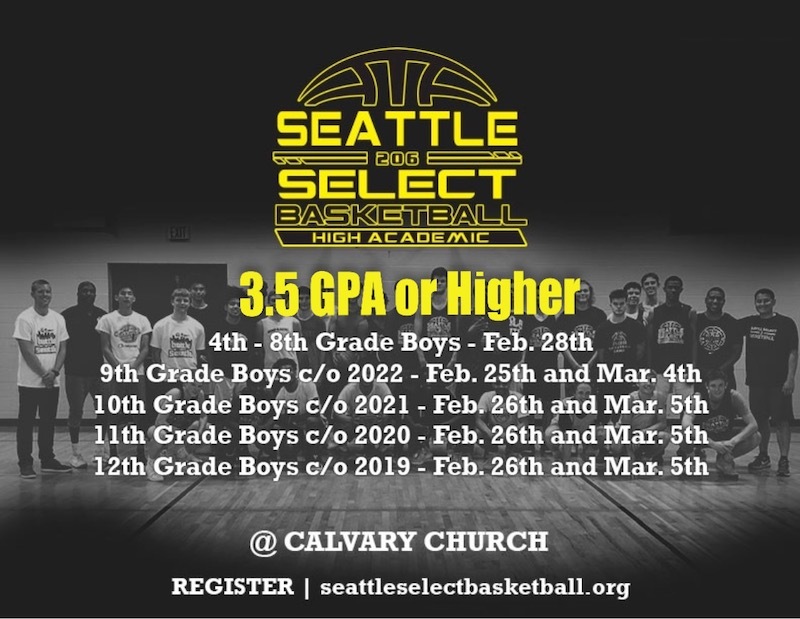 Seattle Select High Academic Team Tryouts Spring/Summer 2019 Posted!!! Comments Off on Seattle Select High Academic Team Tryouts Spring/Summer 2019 Posted!!! Tryouts for the Spring/Summer Season will take place in late February and early March at our home gym Calvary Church. More information about the team, season, and tryouts can be found on our tryout link below. ← Need more reps this Winter break?!?!? Form, technique, fundamentals, and live training. Spring Training League is Here! Need more reps this Winter break?!?!? Form, technique, fundamentals, and live training. Free Training Session in Shoreline! Shoreline Training League Open For Signups!